Nope, you use waxed paper. I made six of them tonight. It works perfectly. 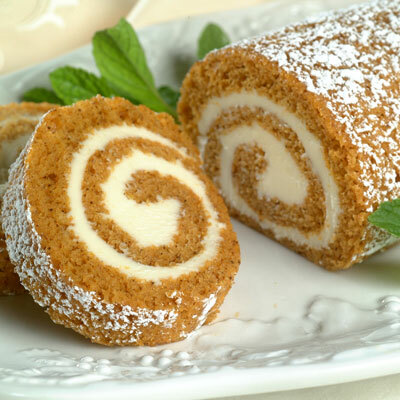 The roll looks yummy-this will be added to my Christmas baking list! I love making and better yet eating them! Happy Thanksgiving to both of you too. I haven't seen you for a while, stop in the Corn Wagon when your down this way. Just wanted to let you know that I made your pumpkin roll and it was delicious. DH defininitely approved. It didn't look as pretty as yours but I bet it tasted as good.